SWIMRITE is a nationwide swimming programme for children, introducing and teaching skills needed for confident and competent participation in all water activities. 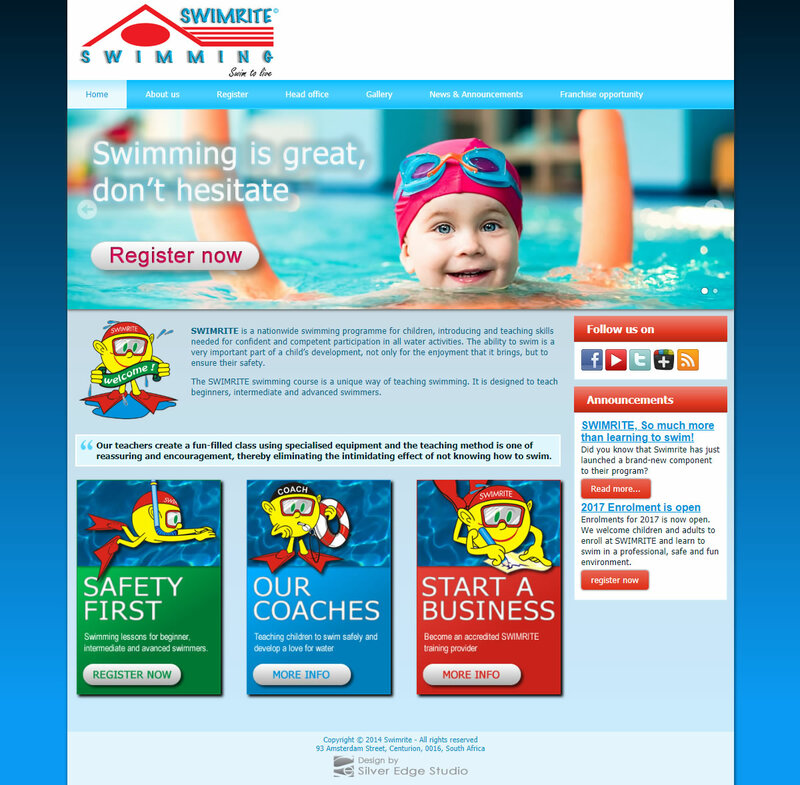 SES WEB was appointed by SWIMRITE to design a new website for their swim school and franchise. The website focuses on giving an overview of SWIMRITE as a swim school and franchise, and provides the functionality to share articles, news and photographs. The SWIMRITE website was designed as a once-off project and handed over to SWIMRITE for self-administration. This website was built on the Joomla! CMS platform.